Welcome Survivors to our Official AFTERSHOCK Status Report for the 12TH OF APRIL 2019, we will be doing these status reports once every two weeks. This gives us enough time to gather stuff to report on. I have some cool things to share with you in this Development Log! As explained in the previous Development Log, we have added Boat spawns to the game. We've actually discussed this with our backers a while back and we can finally say that they are working as intended. Ground Spawn: Spawn randomly somewhere on the map with minimal gear to get you started. 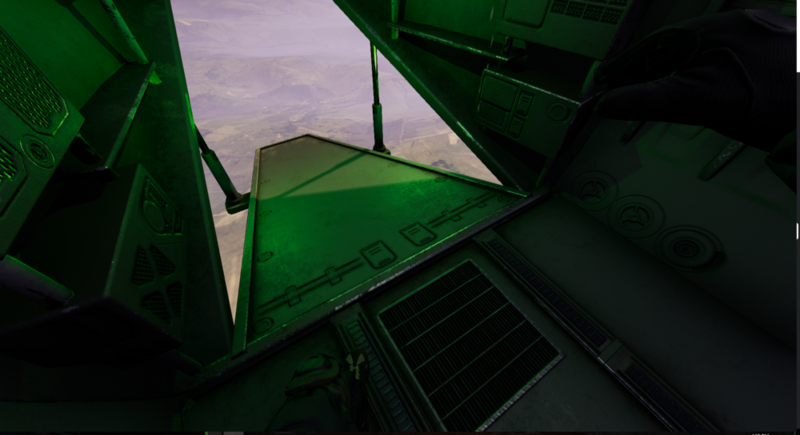 Air Spawn: Spawn in a C130 that is 2,000 ft in the air, once inside you will have the option open the drop bridge and make your descent down below. Boat Spawn: Spawn in a lifeboat with low fuel and some minimal gear to get you started. You will spawn out at sea with the Island of La Feria in view. Where will you go? This is something Dominic and I have been working towards for a while now, we are finally pretty happy with our Landscape and its ground materials. We currently only have three more chunks that need painting which means in the next Development Log expect to see a full top-down view of the Island of La Feria! Now you all know that awkward situation where you try to talk to another survivor but they shoot you because you had your gun aimed at their face? Well, no longer shall you have that bullet lodged between your skull. You can now lower your gun which you can use to show you’re not hostile or even to strike up a sick pose. We have been testing dedicated servers recently and after countless issues, we have finally managed to get them running stable! We hope to release these publicly on the launch of the game so that anyone can run their own servers. So for this dev log, I'm going to back off with stuff to do with the bunker, the only new changes with the bunker is the interior with nothing much of interest. I will however include a screenshot of the U-boat dock. Quick Note: I currently do not have any trees in my chunk of the island. This is because I'm working on large scale projects so putting trees down just to remove them is kind of a hassle. The first of my new stuff is the start of my small town. I’ve also done some small work on my island. If you recall previous Dev-logs, I had a small island that had a crashed U-boat half buried on one side. Since then, I’ve added a small cove and started a small little shanty town. This is what I have to show right now but I have also started on a dockside for large ships. I may put this on the back burner however for placement on another part of the island. That is all for this Dev-log. Thank you for reading! Update from me regarding the launcher. I have been quite busy with other things but I was able to get some work done towards recoding the registration. Slowly, I've been recoding things to make them work easier and to work right with the JWT tokens. Well this has been me for this Dev-log, I hope you enjoy the updates and before you know it, you will be able to test it out. For the last two weeks, I have focused on rebuilding the basics of the AI so that it has some resemblance of being alive. I have done this by tweaking the running and walking speeds, the line of sight, sight radius and peripheral vision so that it doesn’t feel too overpowered and robot-like. Also, I have implemented a health system. No one will like crazies that can’t be killed as that just makes for a boring game. Then again, you may like it for the challenge. As the Crazies continue to become closer to what we have in mind, things will change as we get a better idea of what we want. There will be different types with various health ranges, speed and abilities. All of that is still a while away, as I will only focus on creating different types of Crazies when I am confident with what I have for the base AI. Hey there guys, it’s me, ya boy. Social media has been pretty consistent these past two weeks. Things have been going great as usual and once again, shout out to Cryp for winning the previous giveaway with the release of the last Dev-log. Also, this is my first time writing the Dev-log so I am especially honored to be a part of this. Please if you have anything worth mentioning, let me know as I will appreciate the feedback. Anyway, I hope you guys enjoy this Dev-log and keep on the lookout for more updates. That brings us to the end of this AFTERSHOCK Status Report. Welcome Survivors to our Official AFTERSHOCK Status Report for the 29TH OF MARCH 2019, we will be doing these status reports once every two weeks. This gives us enough time to gather stuff to report on. Hello Backers, this time I have some bunker changes to show. Last time, we had a smallish bunker connected to a underground subway tunnel. Over the past 2 weeks, I expanded the bunker out so now we currently have 3 floors (not including the connected u-boat base “Whoops Spoilers”). Across floors 1 and 2, you will mostly find barracks, meeting rooms, and storage but let's be honest, if you are coming to this bunker in particular you’re not here for the small concrete rooms and dirty barracks. This bunker is only here to grant access to a even larger complex. So that brings us to the u-boat pen, if you follow the beach you will come across a not so well hidden underground water canal. Inside the u-boat pen, you will find a very large warehouse and alongside it, some very old rundown u-boats. I’m pretty sure 2 weeks ago I talked about some of these bunkers housing small settlements or bandits. I still haven’t decided what they will entail just yet. That is all I have to share for now (in this area) and while I do have other examples of changes to the bunker/u-boat pen, it’s very hard to showcase the changes but I may show more in the next Dev-Log! I have made some small changes outside of the bunker having included a small complex with some fuel storage (no, helicopters are not going to spawn here). I have also included a radio tower at the top of the nearby mountain (quick note, this does not have access to the bunker but it may include something in the future). That's all for my part of the Dev-Log, I do have other stuff around the bunker to show but nothing complete for now so I will show it off next time. Dom signing off for this week. in those regards, we have a lot to show off! We actually showed this off back in a very early build to our backers, but we haven’t had any changes to it until recently. There is now buoyancy which is far more advanced and reacts to the waves. You can also now spawn on Boats! This allows for players to spawn outside the island and travel towards the land on a lifeboat with some fuel. You will also be able to pack these boats up into your inventory which allows you to deploy them later on. This means you can now spawn on the Ground, Jump out of the C130 in the air or spawn in a lifeboat out in the ocean near the large Island of La Feria. New Car + New Vehicle Physics. Everyone loves cars right? I mean if you don’t, you can always fly a helicopter or ride your trusty bike. We thought that the Vehicle physics needed a rework, they were far too… janky? Now thanks to the power of Phys X, we have proper suspension and vehicle physics that will adjust based on the surface you’re driving on. No longer shall cars glitch into the ground or fly off into space (we hope). We also added some new Particle effects which makes drifting far more EPIC. We recently looked into the Discord Developer Panel and spent a while behind the scenes learning how to setup Discord Presence in AFTERSHOCK. After a lot of trial and error, we managed to get discord integrated with AFTERSHOCK. This will allow players to share the server that they are connected to and show the current player count on that server. We have the main large image set to the current map that the player is on. Yes, that means if we get any future maps made after La Feria, you will be able to see that server’s map name by hovering over it. You will also be able to join people servers as well via Discord (as long as you own the game of course). Do note that as developers, we will have this show up on our profiles but you won’t be able to join the game as you do not have the game yet (sorry!). The discord.gg/AFTERSHOCK server also got an upgrade/revamp. After sitting down with the other developers, we decided that the UI placement for the survival system was in a bad place. We want to have the chat located in the bottom left so we moved the UI to the middle right of the screen in a vertical state. The UI also is now colored to help you better tell what state your survival condition is in. Some of you have most likely played Arma 3 or DayZ before, so you will know about the classic Map system which helps you find your way around. Currently, we are experimenting with a new system which allows you to press M to open your map UI and set way-points on the Island of La Feria. We will discuss with the community more about how we want to handle players having to find a map before or if you will spawn with it. That’s all the main updates from me, there are a lot of other cools things I’m working on behind the scenes but they are not at a stage of being ready to be shown off yet. It has been a busy two weeks, I have been doing a lot of experimenting with the EQS system to get an idea of how it works and what each piece does. I have also been able to make the AI detect and go to different players, although incredibly in the beginning stages, it is progress. As you will see in the picture below, the AI is detecting the two players which are represented by the green orbs. On those orbs, there are numbers representing which one is closest to the AI, with the lesser number being closer. This is just a very early system so I am going to continue refining it. Considering that the EQS System is currently in an experimental state, I am going to create the AI system in a way that does not use this system until I fully understand the system and is no longer considered experimental. It's your favorite(and only) Community Manager from BLACKBOX. Things have been going great these past two weeks. We recently passed 1000 likes on Facebook which is a great milestone and bodes well for the future for us on social media. Other things are going strong as usual and I'm sure that you noticed that our Instagram is coming back(again again). Other than that, I hope that you enjoy the rest of this dev-log and keep up with the updates. Welcome Survivors to our Official AFTERSHOCK Status Report for the 15TH OF MARCH 2019, we will be doing these status reports once every two weeks. This gives us enough time to gather stuff to report on. Please note that this is a very WIP build you are seeing with some clips containing no trees and other features are hidden, Thanks! Today I have my current revamped bunker, well its more than just a bunker, its will be part of a large underground military network. I plan on hiding these out across the map, in the future you will be able to find traders and large citizen settlements based around, they aren’t without their dangers, you may be able to find some crazy’s and bandits inside or around these bunkers. But on the bright side you should be able to find some very good loot inside these bunkers, but they will come at a risk. But even with that in mind they might still be a sort safe way to traverse the island, but they are old, some tunnels may have collapsed, so enter at your own risk. 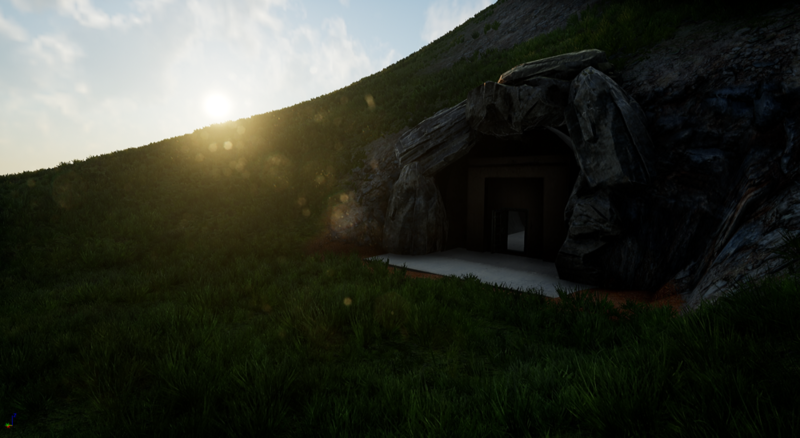 Hello Survivors Last time I talked about the Environment Query System (EQS) that Unreal Engine has, I have been looking into ways of applying this and possibly using it over the current technique that I am using. The EQS feature allows for more advanced AI than what I originally had made. By using this, it will give us the possibility to determine which enemy is the highest threat, to find cover, a weapon and a bunch of things to that effect, this will be useful for a solder type NPC or similar. By using EQS alongside what I am currently will give a better variety so that we can have a more in-depth AI. That being said you came here for an update, not a lesson. A lot of progress on the AI has occurred. With the investigating that I have been doing into the Environment Query System, I have finally been able to get the AI detecting multiple players. With the rework, I have made it so that we have a Crazy AI that can detect and go to a particular player so that we have an AI that we will be able to use it in a multiplayer environment. This is still a WIP but it is coming along fine. I have been able to do this in blueprint through a lot of experimenting on what I want it to do. I am planning to convert what I can to EQS queries, but before that, though I need to learn more about EQS and the possibilities that I can do with it. Update from me regarding the launcher. As stressed as I have been, I took a look at the API we're currently building and said, "I'm not happy with this". So currently we have a system in place that has been mostly hand coded, but it seems difficult to manage for our large scale of users. So as mentioned in the previous Dev-Log, I'm upgrading the API to use JWT tokens and making the API function better. We will also start moving towards coding our DL repo so our backers can download AFTERSHOCK when testing becomes available. Watch this space, because in the next few months there may be an opportunity for some of our backers to gain access to the launcher early. Those who do get early access will be able to help us debug the launcher and will get a special icon on their profile. Hey guys it's your (5th?) favorite person from BLACKBOX here. Things have been pretty steady on my side of the studio, just your above average tweets, posts and what not. The goal now is to get our socials verified across all platforms with Facebook in particular popping off. Well that's all from me this Dev-Log, enjoy the updates for the next two weeks and see you guys next time! Been busy dealing with family issues and haven’t had the best two weeks, expect to see some stuff from me next dev log!